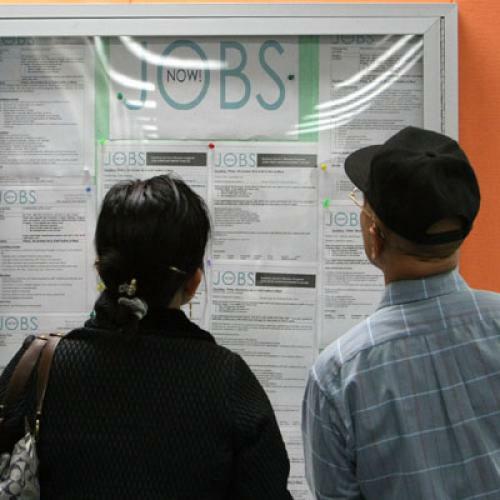 Should Obama Boost Jobs More Directly? There are programs in a handful of states that financially compensate employees who cut their hours to prevent broader layoffs at their companies -- an approach that costs relatively little, since it results in lower payouts of unemployment benefits, and that has helped Germany keep unemployment under 8 percent despite the deep slowdown there. In a relatively brief or shallow recession, I think Summers would definitely be on the right side of this argument. In a longer recession, though, there’s a case to be made that the loss of job skills and labor market attachment that’s involved in a period of prolonged unemployment will create a bigger drag effect than anything that might be involved in delayed restructuring. I mostly agree with this, with one caveat that cuts back in Summers's direction: If the long recession follows the bursting of a massive bubble, then the economy probably needs a lot more restructuring than usual, since by definition a bubble means there was a pretty egregious misallocation of resources going on. In this case, for example, you wouldn't necessarily want to keep people employed in the real estate/ construction sectors, or the financial sector for that matter, since the likelihood/hope is that those sectors will be a substantially smaller part of the economy going forward.